With our departure to Paris just around the corner, our thoughts, understandably, stray to our favorite Paris detectives and their creators. While a nation of many fine writers, the most famous fictional detective was not created by a Frenchman. Name this Parisian detective and his creator, as well as the writer's nationality. Send your answer to info@mainelymurders.com (subject line: quiz). Winner will be randomly drawn from correct entries. Congratulations to Gerry Gilbert of Newington, Connecticut, who identified Asey Mayo as the "Codfish Sherlock," featured in a long-running (1931-1951) Cape Cod series by Phoebe Atwood Taylor. Woman in White (1860) and The Moonstone (1868) among others, was born in London on January 8, 1824. He died in 1889, having written some of the earliest "mystery" novels. 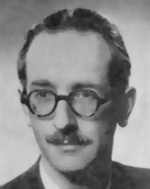 Manfred B. Lee, born in Brooklyn on January 11, 1905, was one of the two cousins who were Ellery Queen for 42 years, until Lee's death in 1971. 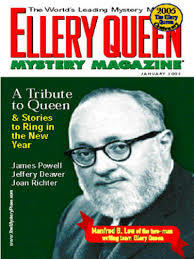 Through their anthologies and Ellery Queen's Mystery Magazine, they were the major influence on mystery short stories in America. Their novels and short stories about Ellery Queen provided reading and viewing pleasure to generations. 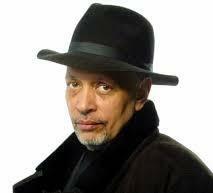 The novelist Walter Mosley, born in Los Angeles on January 12, 1952, gained success and fame following the exploits of Easy Rawlins, a hard-nosed African-American PI in LA and World War II veteran, through the changing racial landscape in Los Angeles to the Patty Hearst era. noted feminist academic (Carolyn Heilbrun), is the queen of American academic mystery writers. Born on January 13, 1926, in East Orange, NJ, she was the first woman to get tenure in the Columbia University English Department. Her mysteries reflect her feminist beliefs and are often extremely critical of universities' treatment of women. She died in 2003. The Murders in the Rue Morgue (1841) is recognized as the first detective story. Since 1946 the Edgars, awarded each year by the Mystery Writers of America, honor the best in the genre and his memory. 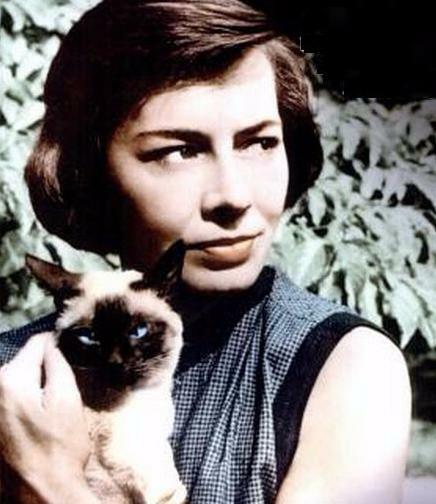 best known for her Strangers on the Train (1950) and later her series featuring Tom Ripley. Her life was not made happy by her fame. She died in 1995. Forward them our newsletter. And, if they enjoy it and would like their very own free subscription, tell them to sign up. We're pleased to have subscribers throughout the United States as well as many internationally. 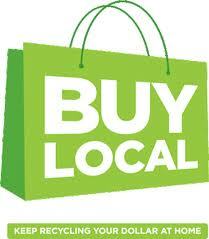 * Local businesses create higher-paying jobs for your neighbors. . . and thank you for a wonderful 2017. Two days ago, we shut the door, quite literally, on the year. Saturday evening closings are generally pretty routine; we know we'll be back Wednesday morning. This time, it will be four months. We haven't yet looked at the year-end facts and figures. There's plenty of time for that in the days ahead. 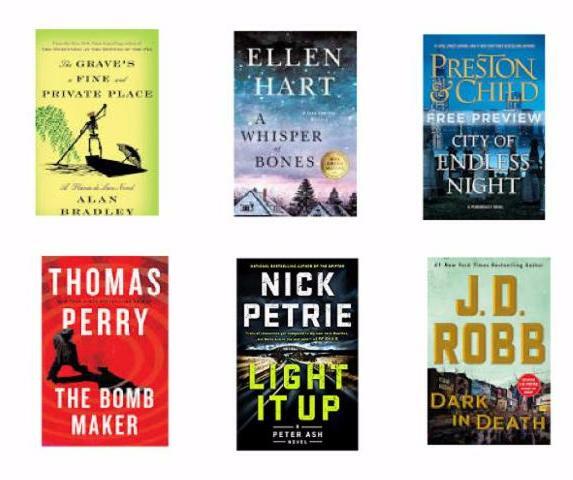 Next month, we'll give you a rundown on our most popular authors and titles. Now, however, we'll take a breather--probably just long enough to start our own wintertime reading lists. Most of our customers know that we spend winters abroad. In a couple weeks, we'll leave for Paris. But, while there, we'll keep in touch with you about new releases, recommendations, and, perhaps, some of our adventures. We'd love to hear from you, too. Just drop us a line at info@mainelymurders.com. In the meantime, winter well. P.S. A sincere thank you to generous customers who contributed to our special Toys for Tots campaign. Thanks to you, we delivered copies of Pizza to Die For, the first children's mystery by Maine veteran mystery writer Lea Wait, to this year's United States Marine Corps Reserves project. Each year, youngsters receive, in addition to other gifts, an age-appropriate book. With much sadness, we report the death of Sue Grafton , whose Kinsey Millhone was one of the first strong women PIs. She died December 28 after a two-year battle with cancer. She was 77. Sue's "alphabet mysteries," which began in 1982 with A is for Alibi, topped best-seller lists for decades. Y is for Yesterday was published in August. "She was adamant that her books would never be turned into movies or TV shows, and in that same vein, she would never allow a ghost writer to write in her name. Because of all of those things, and out of the deep abiding love and respect for our dear sweet Sue, as far as we in the family are concerned, the alphabet now ends at Y." We were fans of Sue's from the beginning, back in 1982. Indeed, she was the first mystery writer we ever met. Like so many others, we will miss her, while remembering her for blazing the trail for so many later women writers. We know--at least we hope--your mystery reading doesn't stop just because we're away. Throughout the next four months, we'll continue to keep you up to date on new releases, highly touted books, and our own discoveries and recommendations. * Think: Book List. Whether titles (or authors) already read or the ones you're still seeking, a LIST makes life so much easier. How many times have you stood in front of a bookshelf and muttered (we've heard you! ), "I need a list." * Try something new. Pick an author (or two) unknown to you. She (or he) might become your new favorite. * Share your favorites. It might sound self-serving, but we're eager to include your recommendations in upcoming newsletters. You needn't be an experienced writer or book reviewer. If you're a mystery reader, you're the expert on what you like. Surprise, surprise. We're already looking ahead to the books we want to read as the new year begins. This is so much more satisfying, not to mention realistic, than making the dreaded Resolutions. December was so busy I didn't have time for new releases by two of my favorite Scandinavians. I'll start wih them. * Jussi Adler-Olsen, The Scarred Woman [Department Q #7]. The humor and satire in the midst of what are really very dark stories make Adler-Olsen a must-read for me. * Helene Tursten, Protected By The Shadows [Irene Huss #10]. We've been watching Irene Huss via streaming videos (See What We're Watching below), but I wouldn't miss one of Tursten's books. * Alan Bradley, The Grave's A Fine and Private Place [Flavia de Luce #9]. I've adored Flavia since book #1, Sweetness at the Bottom of the Pie. * Andrea Camilleri, The Pyramid of Mud [Salvo Montalbano #22]. Each time I read a Camilleri book, I'm ready to travel to Sicily. * Sarah Graves, Death By Chocolate Cherry Cheesecake [Death by Chocolate #1]. This is the debut of a third series for the Maine writer. * Ellen Hart, A Whisper of Bones [Jane Lawless #25]. Ellen Hart, and her Jane Lawless series, has been a staple of my reading for nearly 30 years. Last year, she finally got the recognition she deserves, being named a Grand Master by the Mystery Writers of America. Anne Holt, In Ashes and Dust. Just out in Britain, finishing this book will be bittersweet because it is the last of the Hanne Wilhelmsen novels. Her 1222 was a book we fell for our first year in business. Robert Crais, The Wanted. Another old favorite. Here Elvis (Cole) and Joe (Pike) once again try to help someone and find themselves in very, very deep trouble. Thomas Perry, The Bomb Maker. Trying to stop bombs is beyond risky, and when a bomb maker targets bomb squads . . . .
David Lagercrantz, The Girl Who Takes an Eye for an Eye. Saved this for Paris because every library has to have at least one copy. Can't wait for Lisbeth to go for an eye. Liza Marklund, The Final Word. While Annika Bengtzon is covering a sinister murder trial, her not especially supportive sister disappears. Ann Cleeves, The Seagull. Just can't resist the latest Vera Stanhope in which Vera learns her late father may have been involved in more than mild criminality. Everyone knows I love Paris--but sometimes the French countryside calls out to me. How better to explain my love of Martin Walker's Bruno, Chief of Police series? The same goes for Jean-Luc Bannalec and his series set in Brittany. When Commissaire Georges Dupin is relocated from his beloved Paris to rural Brittany and small-town life on the Breton coast, he's convinced he's been relegated to the edge of the world (and, in fact, Concarneau is in the department of Finistere, i.e., end of the earth). But, along the way, the coffee-loving, idiosyncratic Dupin comes to appreciate and love this tiny quarter of northwest France. And, with his many quirks and odd behaviors, he quickly won my heart. So far, Bannalec, the pseudonym of a German who splits time between his native country and coastal Brittany, has only two English translations--Death in Pont-Aven (aka Death in Brittany) and Murder on Brittany Shores. In April, a third, The Fleur de Sel Murders, will be released. I'll be ready. Just as the long dark nights--in Maine anyway--give us more time to read, they also give us more time to watch videos--mystery videos, of course. In December, we found ourselves checking out the possibilities on the small (or not-so-small) screen. We've long been fans of the British productions, many of which are available on public television channels and streaming networks such as Netflix and Acorn. 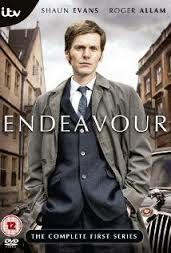 Like many mystery fans, we enjoyed, among others, Sherlock, Elementary, Endeavour, Vera, and Shetland via streaming. These days there are far wider offerings for those of us who want to supplement our reading with the more visual. We're enjoying the new-to-us MHz Choice, available as part of many streaming packages. It's very, very strong on international mysteries, i.e., subtitled European mysteries, like Nero Wolfe, the Fjallbacka Mysteries, and Spiral. Nero Wolfe? Yes. Having been driven out of the U.S. by a jealous FBI after World War II, he's moved to Italy. Good food. Warm weather. Crime. It's a riot. And for more breaks from the dreariness of winter in Maine try Detective Montalbano (Andrea Camilleri) or the much darker Detective De Luca (Carlo Lucarelli). On the other hand, Scandinavian mysteries offer only the comfort of knowing other places have longer, colder, drearier winters than Maine. And a much bloodier landscape. The two video series based on Camilla Lackberg's books (with different casts and emphases--policeman husband in the first and mystery-writer wife in the second) show a beautiful little Swedish coastal town that is surprisingly crime ridden. Helene Tursten's Irene Huss's Sweden is no less bloody than that of the Lackberg series but darker, despite the presence of Huss's fairly normal family life, well, as normal as a family with two teenagers can be. The French mysteries are somewhere in the middle. Many are bleak like Spiral, depicting a justice system gravely marred by favoritism and corruption, where good is done often by accident--if at all. The Nicolas Le Floch (Jean-Francois Parot) mysteries set in pre-revolutionary France as the monarchy plunges into disaster are as dark as the topic. 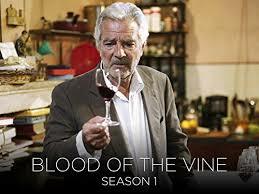 Blood of the Vine is pleasantly relaxing if you can take murder with your wine. And, of course, the Georges Simenon Mysteries and the older Maigret series are middle of the road. And the French Mary Higgins Clark Mysteries are not really grim but also not really ready for the Hallmark Channel. We probably won't like all the possibilities open to us but it will take us years to check everything out. A sampling of January releases. Find more at www.stopyourekillingme.com and https://www.cozy-mystery.com/blog/soon-to-be-released-mysteries. Archer Mayor has been sharing tales of Vermont detective Joe Gunther for nearly 30 years, and to hear Mayor tell it, he's got no plans to wrap up either his or Gunther's careers. 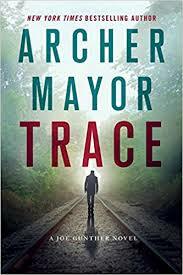 Beginning with Gunther's appearance in 1988 (Open Season) and continuing through his 26th and most recent, Trace, Mayor shows why his fans never tire of this longtime series. Vermont isn't a state with a high murder rate, but things are definitely heating up now for Joe Gunther and his detectives at the Vermont Bureau of Investigation. Three different cases--one the murder of a young New York woman, one a cold case involving the deaths of a policeman and the man he stopped for a traffic violation, the third a mysterious finding at a railroad track--all converge simultaneously for the VBI. Jayla Robinson has just arrived at the Brattleboro bus station, escaping an abusive relationship in New York. A few minutes after getting off the bus, she's absent-mindedly crossing an intersection when she's grazed by an oncoming car. Jayla says she's fine, not hurt at all, but Rachel, the young woman driving, insists on taking her to her apartment for a cup of tea and to make certain she's really okay. The two hit it off almost immediately, and Rachel invites Jayla to stay with her until she finds a job and an apartment. But when Jayla's boyfriend/abuser locates her, he sends an enforcer either to retrieve an item that she took when she fled his home or to "dispose" of her, whichever is easier. Unfortunately for Jayla, he chooses the latter. The cold case was called into the VBI by a member of the state's forensic team. Tina Sackman was doing some research into fingerprints and thinks she has found something strange in the case involving state trooper Ryan Paine and the man he pulled over for a routine traffic stop, Kyle Kennedy. Shots were exchanged and both men were killed. Now, in going over what had seemed an open-and-shut case, Tina discovers something disquieting about the trooper's fingerprints on the gun he supposedly used to shoot the driver--they appear to have been placed on his gun by artificial means. The third case begins when a child discovers, and then brings to the local police station, three bloody, broken teeth that she found by the railroad tracks. All this is happening while Joe Gunther, head of the Bureau, is handling a family emergency. His younger brother Leo calls with the news that their elderly mother is in a "bad way." After finally having gotten their reluctant mother to visit her doctor, Leo tells Joe that the physician's diagnosis is Lyme encephalitis, a tick-borne disease that affects the nervous system, bringing with it mood swings, cognitive problems, and personality change. The doctor at the Dartmouth-Hitchcock Medical Center tells Joe and Leo that the best place for Mrs. Gunther to receive rehabilitative care is in St. Louis, and Joe immediately decides that he will take her there and stay with her while she's undergoing treatment and rehab. So, while the three cases are being investigated, the head of the Bureau is out of state. Trace is the twenty-eighth (!) book in the Joe Gunther series. Not surprisingly, given the background of the author, the series presents a totally realistic picture of law enforcement in both a mid-size city department and a state investigatory agency. Archer Mayor is currently a death investigator for the Vermont Office of the Chief Medical Examiner as well as a detective for the Windham County Sheriff's Office. Readers who have been following Joe and his squad--Lester Spinney, Willy Kunkle, and Samantha Martens--will be delighted to see them again in this novel that will hold their interest until the end.